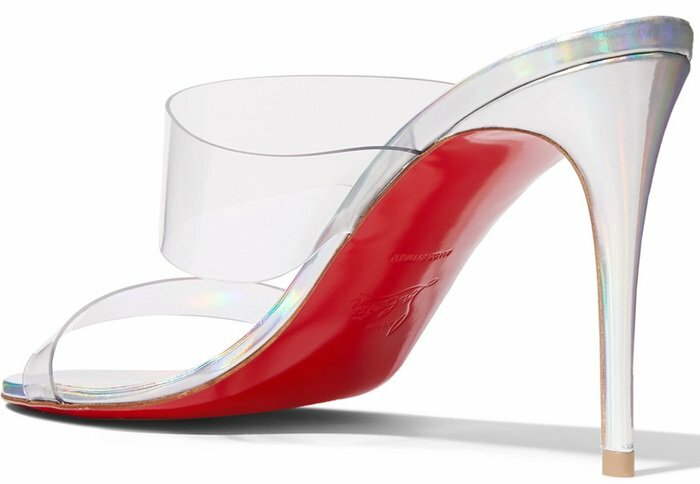 Taking inspiration from the holographic fabrics were spotted on many of the Fall ’18 runways, French footwear designer Christian Louboutin created these silver leather heels exclusively for Net-A-Porter. You can also buy them in black. Which version is your favorite? 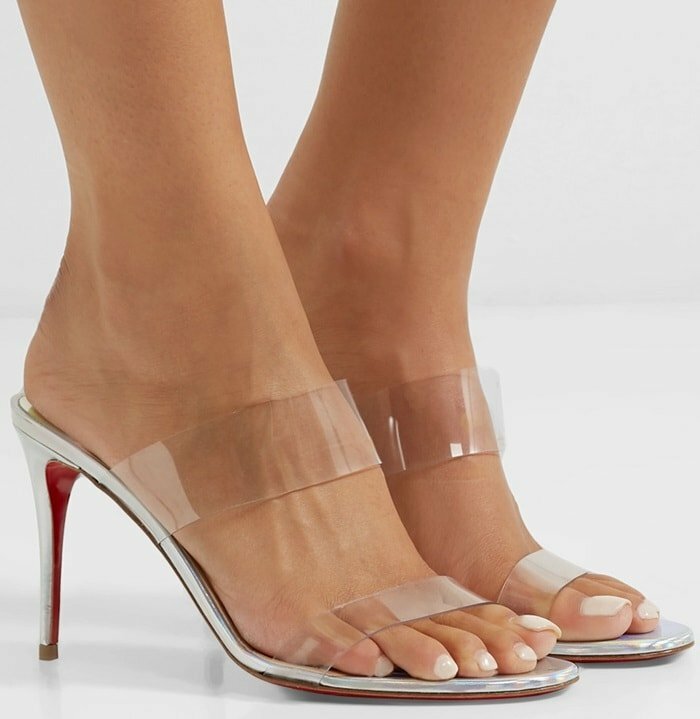 These mules have been made in Italy from metallic leather and transparent PVC for a barely there finish. These black mules are modeled on a style from the Christian Louboutin’s 2003 collection. Despite the retro appeal, they are still in tune with so many of this season’s trends. 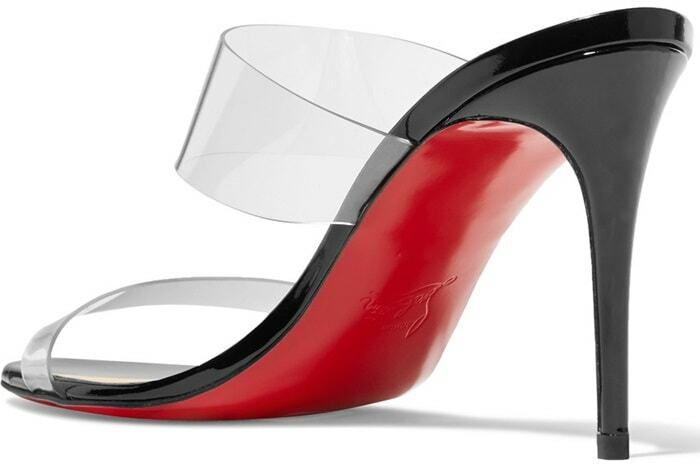 They’ve been made in Italy from glossy patent-leather, with clear PVC straps and a pin-thin heel.